Unite to Defeat Radical Jihadism It will require Western elites to form an alliance with the citizens they’ve long disrespected. In striking at the political heart of Europe, home of the European Union, the ISIS jihadists were delivering a message: They will not be stopped. What we are seeing now is not radical jihadist Islam versus the West but, increasingly, radical jihadist Islam versus the world. They are on the move in Africa, parts of Asia and of course throughout the Mideast. Radical jihadism is not going to go away, not for a long time, probably decades. For 15 years it has in significant ways shaped our lives, and it will shape our children’s too. They will have to win the war. The jihadists’ weapons and means will get worse. Right now it’s guns and suicide vests. In the nature of things their future weapons will be more sophisticated and deadly. At a vigil in London’s Trafalgar Square following the March 24 terror attacks in Brussels. The usual glib talk of politicians—calls for unity, vows that we will not give in to fear—will produce in the future what they’ve produced in the past: nothing. 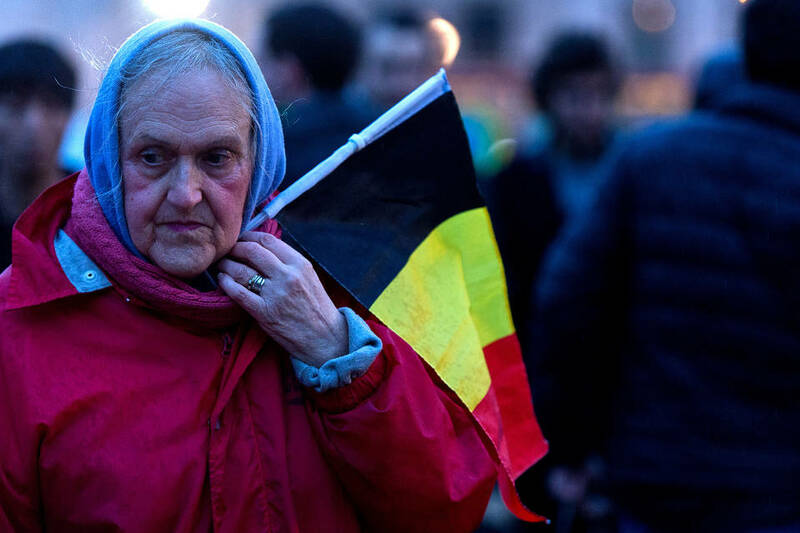 “The thoughts and the prayers of the American people are with the people of Belgium,” said the president, vigorously refusing to dodge clichés. “We must unite and be together, regardless of nationality, race or faith, in fighting against the scourge of terrorism.” It is not an “existential threat,” he noted, as he does. But if you were at San Bernardino or Fort Hood, the Paris concert hall or the Brussels subway, it would feel pretty existential to you. There are many books, magazine long-reads and online symposia on the subject of violent Islam. I have written of my admiration for “What ISIS Really Wants” by Graeme Wood, published a year ago in the Atlantic. ISIS supporters have tried hard to make their project knowable and understood, Mr. Wood reported: “We can gather that their state rejects peace as a matter of principle; that it hungers for genocide; that its religious views make it constitutionally incapable of certain types of change . . . and that it considers itself a harbinger of—and headline player in—the imminent end of the world.” ISIS is essentially “medieval” in its religious nature, and “committed to purifying the world by killing vast numbers of people.” They intend to eliminate the infidel and raise up the caliphate—one like the Ottoman empire, which peaked in the 16th century and then began its decline. When I think of the future I find myself going back to what I freely admit is a child’s math, a simple 10% rule. American Islamic Forum for Democracy Founder and President Dr. Zuhdi Jasser on the ideological war against radical Islam in Europe. Photo credit: Getty Images. There are said to be 1.6 billion Muslims in the world. Most are and have been peaceful and peaceable, living their lives and, especially in America, taking an admirable role in the life of the nation. But this is a tense, fraught moment within the world of Islam, marked by disagreements on what Islam is and what its texts mean. With that context, the child’s math: Let’s say only 10% of the 1.6 billion harbor feelings of grievance toward “the West,” or desire to expunge the infidel, or hope to re-establish the caliphate. That 10% is 160 million people. Let’s say of that group only 10% would be inclined toward jihad. That’s 16 million. Assume that of that group only 10% really means it—would really become jihadis or give them aid and sustenance. That’s 1.6 million. That is a lot of ferociousness in an age of increasingly available weapons, including the chemical, biological and nuclear sort. My math tells me it will be a long, hard fight. We will not be able to contain them, we will have to beat them. That’s where we are now. The “they” is radical Islamic jihadism. Normal people have seen that a long time, but the leaders of the West—its political class, media powers and opinion shapers—have had a hard time coming to terms. I continue to believe part of the reason is that religion isn’t very important to many of them, so they have trouble taking it seriously as a motivation of others. An ardent Catholic, evangelical Christian or devout Jew would be able to take the religious aspect seriously when discussing ISIS. An essentially agnostic U.S. or European political class is less able. Thus they cast about—if only we give young Islamist men jobs programs or social integration schemes, we can stop this trouble. But jihadists don’t want to be integrated. They want trouble. Our own president still won’t call radical Islam what it is, thinking apparently that if we name them clearly they’ll only hate us more, and Americans on the ground, being racist ignoramuses, will be incited by candor to attack their peaceful Muslim neighbors. All this for days has had me thinking of Gordon Brown, which is something I bet you can’t say. On April 28, 2010, in Rochdale, England, Britain’s then prime minister accidentally performed a great public service by revealing what liberal Western leaders think of their people. That was the authentic sound of the Western elite. Labour lost the election. But the elites have for a long time enjoyed nothing more than sneering at the anger and “racism” of their own people. They do not have the wisdom to understand that if they convincingly attempted to protect the people and respected their anxieties, the people would feel far less rage. I end with a point about the sheer power of pride right now in Western public life. Republican operatives and elected officials in the U.S. don’t want to change their stand on illegal immigration, and a key reason is pride. They’re stiff-necked, convinced of their own higher moral thinking, and they will have open borders—which they do not call “open borders” but “comprehensive immigration reform,” which includes border-control mechanisms. But they’ll never get to the mechanisms. They see the rise of Donald Trump and know it has something to do with immigration, but—they can’t bow. Some months ago I spoke to an admirable conservative group and said the leaders of the GOP should change their stand. I saw one of their leaders wince, as if I had made a faux pas. Which, I understood, I had. I understood too that terrorism is only making the border issue worse, and something’s got to give. But I doubt they can change. It would be like . . . respecting Gillian Duffy. Though maybe European leaders can grow to respect her, after Brussels. Maybe the blasts there have shaken their pride. Will the GOP Break Apart or Evolve?